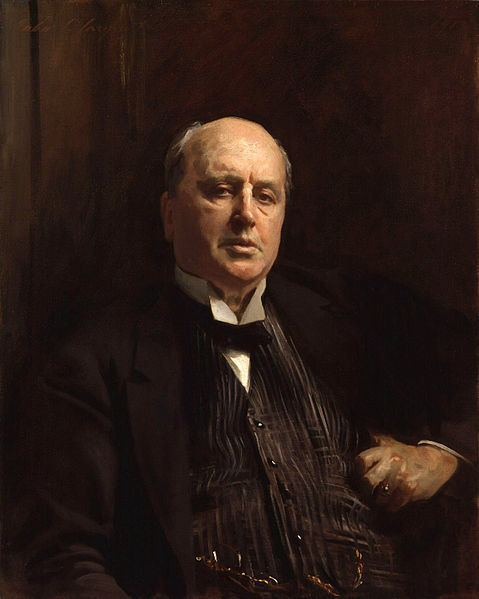 I’ve been working on a piece about the Henry James story ‘The Author of Beltraffio’ for weeks now. It’s gone through two drafts, but I’m struggling to pin it down. As a result I’ve posted nothing here for quite a while, so here’s an interim piece; I hope it whets the appetite for the fuller version, which should will appear soon. I finish work for the summer in a couple of weeks, so that should provide opportunity to complete it. The edition used here is from the Everyman’s Library edition of Collected Stories, vol. 1 (1866-91), selected and edited by John Bayley, 1999, published by Alfred A. Knopf, New York, pp. 729-775; it is also found at pp. 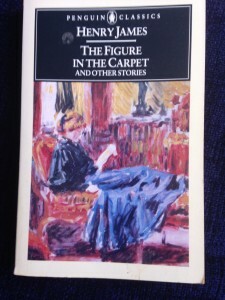 55-112 in the Penguin Classics collection of Henry James stories: The Figure in the Carpet and other stories, edited with an introduction and notes by Frank Kermode; mine is the first edition, 1986. The story was first published in the June and July issues of the newly-established English Illustrated Magazine in 1884, and was reprinted in book form in England and the United States the following year. Henry James was born in New York in 1843, but spent most of his adult life in Europe; from 1876 he made England his home. He became a British national in 1915, the year before his death. 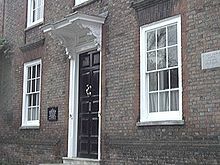 In 1897 he bought Lamb House in Rye, Sussex, and lived there for the remainder of his life – a period that David Lodge used as the basis for much of his novel about James, Author, Author (2004). Colm Tóibin, of course, produced a rather superior, artistically more satisfying novel about the latter part of the life of James, The Master, earlier the same year. The theme of this story is typical of much of James’s fiction: the collision of a naive and ingenuous young American, embodied by the unnamed narrator of the story, and the antiquarian-decadent Old World of England, most notably represented by Mark Ambient, the author of the eponymous novel Beltraffio. In my next piece I intend to give a fuller critique of this rather puzzling story. For now I shall focus just on the names of the characters involved, as a prelude to what follows at a later date. The central characters’ names are all significant, and make important contributions to any interpretation of the story, which deals with a preoccupation of James’s: the tension between his own view that ‘art makes life’ (with sublime fiction – like his own – being one of the fine arts), and the ‘evangelical hostility’ of the puritanical Victorian age towards art; he was a believer in the sacred duty of the artist to his art, and deplored what he considered the trashy fiction of most of his contemporaries, who in his view failed to take their work seriously. The relation of the artist to his public became an increasingly important subject in his later work, and ‘The Author of Beltraffio’ is one of the earliest examples of his treatment of it. the opposition between two distinct ways of looking at the world..the difference between Christian and Pagan. I may be a pagan, …She thinks me, at any rate, no better than an ancient Greek. Gwendolen Ambient, Mark’s sister. Sympathises with her brother in the struggle for possession of the little boy, but also considers the writer’s ideas ‘rather queer’. The narrator first describes her as having a ‘modern’ laugh but a ‘medieval’ appearance. In keeping with the Pre-Raphaelite notions of her brother she favours an artistic-looking ‘faded velvet robe…like the garments of old Venetians and Florentines. 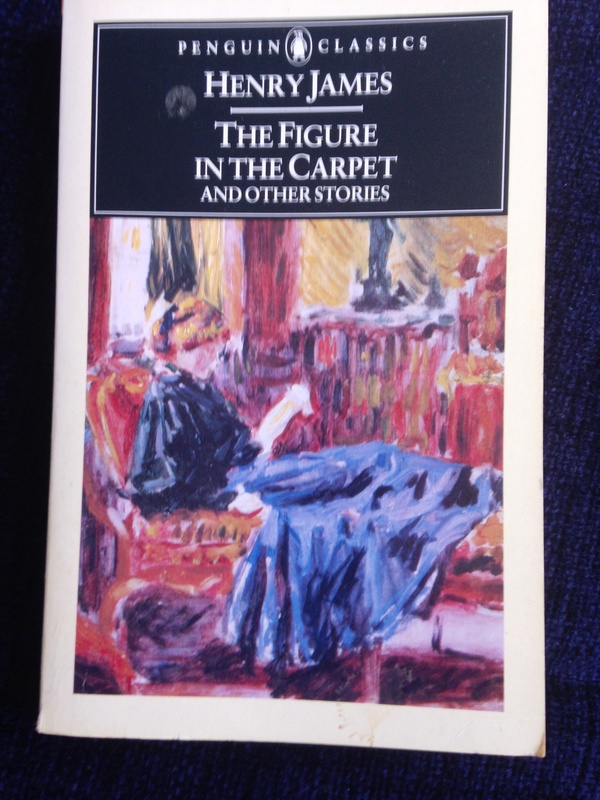 She looked pictorial and melancholy.’ The narrator comes to realise this is all a pose, and she is in fact rather hypocritical and empty-headed: ‘She was a singular, self-conscious, artificial creature’ whose mind is less extraordinary than her appearance. She’s a ‘restless, yearning spinster, consumed with the love of Michael-Angelesque attitudes and mystical robes’ but without the depth of thought that she attempts to suggest. She is, in fact, ‘vulgar’, and ‘wished to be looked at, she wished to be married, she wished to be thought original…she had no natural aptitude for an artistic development – she had little real intelligence.’ He feels she’s been influenced by her brother, who’s unaware of the ‘perfidious’ image she presents to the world; Ambient simply sees her rather vaguely as making up ‘very well as a Rossetti’. Mrs Ambient, on the other hand, ‘was not a Rossetti, but a Gainsborough or a Lawrence, and she had in her appearance no elements more romantic than a cold, ladylike candour, and a well-starched muslin dress’. 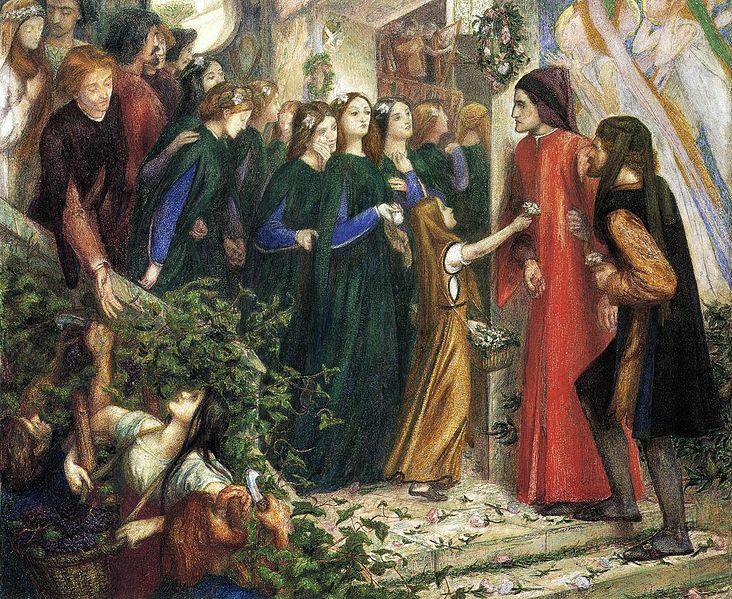 Her name then, like Beatrice’s, has ironic literary-romantic and medieval associations. She figures in Arthurian chivalric legend: Geoffrey of Monmouth and the continuators of the Arthur legend portray her as Merlin’s wife or queen of Britain. The name became popular in England only in the nineteenth century, especially from the 1860s; the central female character in George Eliot’s Daniel Deronda (1874-76) is Gwendolen Harleth. 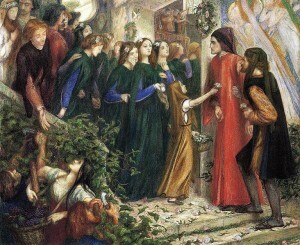 Eliot was aware of the name’s connotations with ‘Celtic romance and natural psychodrama’, and seems to have plumbed Tennyson’s Arthurian poems, which in turn re-work Malory’s, for her character’s moral ambiguity and ultimate marital misery – qualities which add resonance to James’s portrait of Gwendolen Ambient. 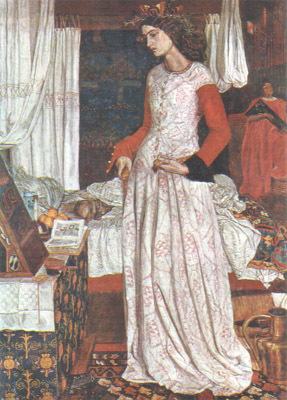 Some commentators see the name Gwendolen as related to Arthur’s unfaithful wife Guinevere. If James shared this view then this would add to the sense of irony in his choice of the name for this affected, beautiful but ultimately shallow young woman, who ends her days in a nunnery, devastated by the events that end the story, which are to some extent precipitated by her conversations with the narrator. Dolcino Ambient is the ‘apple of discord’ between Mark and Beatrice. He’s the cherubic, beautiful son, aged seven or eight. ‘He’s like a little work of art’, gushes the narrator to the child’s father, adding yet another reference to the lengthy list of artistic images in the story. James might have used this name, Italian like his mother’s, because of its etymological connections with words for sweetness. Maybe too he was thinking of the wayward radical Italian heretic, burnt at the stake in 1307 at the instigation of the famously ruthless Inquisitor, the Frenchman Bernard Gui (aka Guidonis), the Inquisitor of Toulouse and notorious scourge of the Albigensians (1307-23). Dolcino led the Order of Apostles, a vaguely socialistic anti-establishment sect whose members lived a sort of bandit life in the Piemonte hills. Like his mother’s, the boy’s name has links with Dante, who names Fra Dolcino in canto 28 of Inferno. If so, this would seem to support Beatrice’s view that Mark Ambient would morally poison his son’s character, for Fra Dolcino held decidedly anti-authority views, believing in unconstrained liberality and equality for all – views that would have appalled the little boy’s mother, but probably appealed to the father. Mark Ambient: his name connotes a person who accommodates to his surroundings or immediate environment. I shall examine in more detail next time an interpretation of the story which sees the scandalous author with his high aesthetic philosophy as essentially a hypocrite, a bourgeois like his emotionally atrophied wife. This entry was posted in Literature and tagged Dante, Henry James, The Author of Beltraffio by Simon Lavery. Bookmark the permalink. I didn’t comment on the significance of the story’s title, largely because I didn’t have much to say about it: another Italian-sounding name in keeping with the ‘cinque-cento’ obsession of Ambient, and the other names in the story. Don’t think it signifies much else specifically, though the ‘Bel’ prefix obviously suggests beauty (consistent with Ambient’s aesthetic image), and there are Italian names of characters in his story mentioned at one point when the American narrator goes for a walk and talk with the author. Seems to me James was more interested in the names of his own characters. Thanks for the comment, though!